Friday (I think) was the Feast Day of Saint Francis of Assisi. He’s been a favorite saint of mine and I even have a statue of him in my garden. 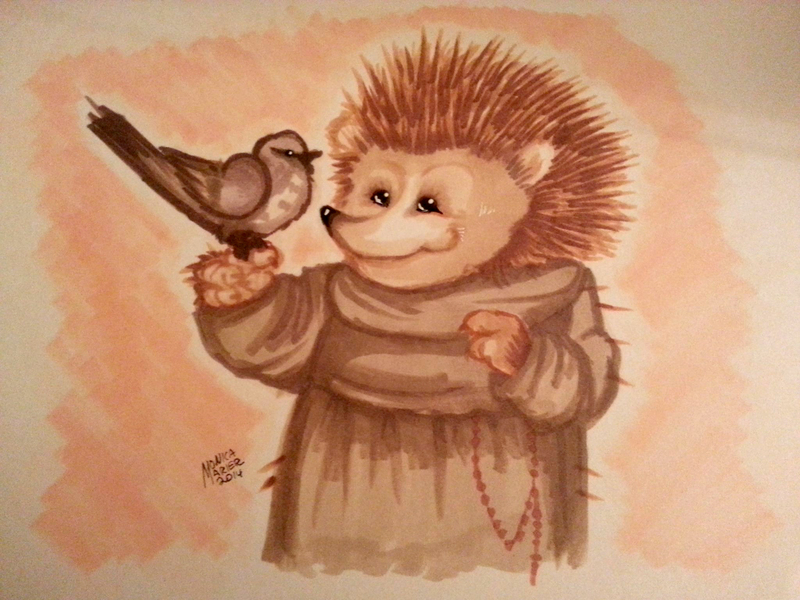 I had the brilliant inspiration to do a pic of St. Francis as a hedgehog, but I knew it would be a very INVOLVED piece, even if I did monochrome. Today the internet went out so I got my chance to draw him in my brown Copics. Here he is. I’m not going to critique it, since I really happy with it. Animals are still REALLY hard for me, so I consider this a small victory. Feel free to leave your own comments. Have a good one!